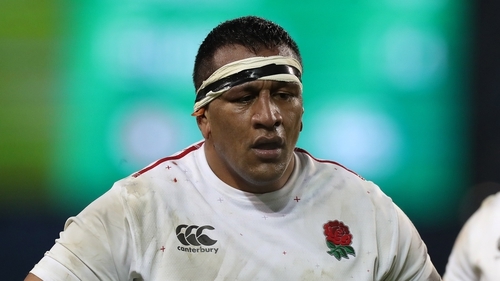 England are reeling after front row colossus Mako Vunipola was ruled out of the remainder of the Guinness Six Nations by an ankle injury. Vunipola hobbled off in the 44th minute of Sunday's 44-8 demolition of France at Twickenham and a scan has revealed that he requires 10 weeks of rehabilitation that will be overseen by Saracens. It is a hammer blow that clouds the countdown to a likely title decider against Wales in Cardiff on February 23. Vunipola was named man of the match as Ireland were crushed 32-20 in Dublin on the opening weekend and he was superb against France until injury struck to his left ankle. Eddie Jones has hailed the 28-year-old loosehead prop as world class due to his ability to make explosive impacts in defence and attack, improved scrummaging, work-rate and growing leadership role. Jones said: "It is obviously very disappointing to lose Mako at this stage as he is an important player for us but it does provide an opportunity for the team to grow." Vunipola, a starting Lion in 2017 with 53 caps to his name, starred in England's win over Ireland at the Aviva Stadium, claiming the Man of the Match award. Elsewhere, Wales number eight Taulupe Faletau has been ruled out of the remainder of the competition because he needs another operation on his fractured arm, his club Bath said on Tuesday. "We're gutted for Taulupe, but this is the best course of action for him moving forwards as a player," Bath director of rugby Todd Blackadder said in a statement. Warren Gatland's Wales have won their opening two Six Nations games and next meet England, who also secured victories in their first two matches, in a potential title decider at Cardiff on Feb. 23.